I have been using a server from them for Chroomer for 6 months already. Everything works fine, they don't have a lot of down time, the guys are great, they will help you out whenever you need it. Excellent company. Everything works without any remarks. Stable hosting provider with experienced technical support - answer within 15 minutes, consult competently. Fast, high-quality support. 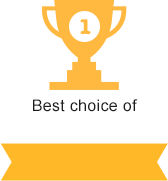 Best hosting! Well done! Thank you! Accidentally found on the Internet prohoster.info website and I decided to try how it works. Everything works just fine! quickly open the website, unlimited disk, downloading files, flies on a server and do not blink. Great company! All products are good and you can choose something that you need. For my media site I chose paccage that includes super anti-ddos attack protection. I am very satisfied how it all works now. Thank you guys! I've been searching for a good hosting for a long time. This hosting is a jealous gift for me. Very profitable, understandable interface, the speed is excellent. The connection is stable. thanks to the creators. I have been using this service for a long time. Mainly it's reliable and proven, the connection speed is great about prices I want to say that it can be expensive, but every good thing is worth its money! I want to mention a good job of technical support! everything is done promptly and quickly no complaints! I use this hosting recently, but very happy. Tech support helped to place the website and gives qualified answers to questions. I advise everyone, the hosting is very reliable. I think that is great service than other. I recommend for all!! Tech support helped to place the website and gives qualified answers to questions. I advise everyone, the hosting is very reliable. Thanks to the developers for good hosting. Excellent company that provides quality and reliable service. I developed a website, but could not place it. Employees helped me, plus gave the necessary recommendations. Thank you! I think that this is a good hosting. I really liked this hosting provider, as if to say for sure better and more reliably didn’t see it, also for tech. support that seems to work extremely well. A good hosting with a free web-builder, I use the services for the second year already, the sites work without failures and load quickly. Tech support is at the height and always quickly solves all questions that arise. 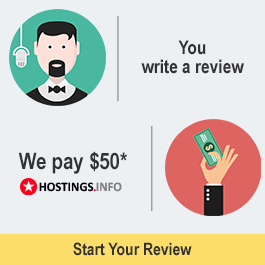 I have been buying hosting at this company for quite a long time and I have never had any complaints about their work. It is immediately evident that a well-coordinated team of professionals is working. One of the best hosting on the Internet. The interface is simple and accessible, without unnecessary problems. I have been using it for a long time and I am sure that I will use it further. I am testing this hosting recently, a little less than a month. While I see a positive trend. Immediately gave free domain and SSL certificate. The speed of loading pages is quite high, FTP is stable. The servers hold the load well. Pretty good hosting. everything works qualitatively without complaints. pages load quickly, without crashing. In general, I am pleased with the work of this hosting. I advise you to try all your friends who are interested in this topic.